Previously in the Abigail’s Call series I offered the “royal promotion” perspective to Abigail’s story. 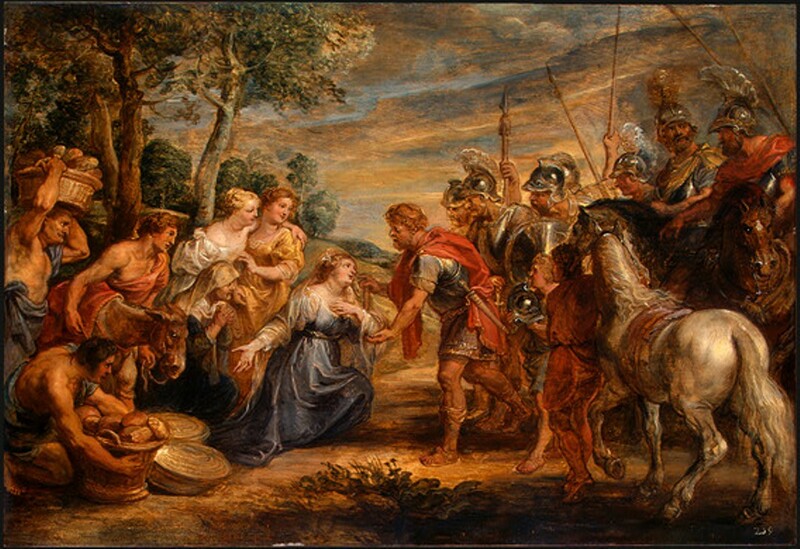 Her wisdom and extreme humility moved David to relent from violent intentions toward her household. Today, I offer her as a model for crisis intercession. Specifically, why “David” people require intercession. It is simply because David is prone to destroy everything around them without it. David people are gifted yes, but also products of secret anointing. Everyone sees they are different. Only a few know God’s hand is on them. But secret anointing before God’s public coronation produces emotional responses. It inspires frustration because David people cannot walk in their anointing before time, regardless of demonstration, expression or opportunity. If they try, destruction becomes the end result. God’s faithfulness to David is amazing. He’s so concerned with their getting through Saul-wilderness-warfare to reigning, that He lowers an intercessor to the ground to distract and divert them from disaster and from causing disaster. David is prone to create trouble, and these people attract people whose shattered lives bring trouble. Abigail, the Lord will hold your heart and keep you from the 400’s attraction to David so you can complete your intercession assignment. He will grace you to go as low as necessary to draw David’s attention away from violating his future station with the stain of anger and murder. Please consider here that David’s legacy is worshipping man of war…with great emotional conflict and some skewed judgment. His legacy is not murder for murder’s sake or anger or dishonor — and not just in this case — and I say it’s because God ordered intercession. Although Abigail was the second wife, her importance was directly tied to her availability for intercession. Abigail, David people will marvel at your ability (grace) to get low, and love and say the words that turn their hearts. David will claim you and take you away…but remain in struggle and process. David, while still becoming, will draw you into covenant. But as long as the Lord holds your heart, you remain restrained from getting too intertwined or caught up because of the intercession assignment. Hopefully, this adds some perspective. Abigail, David people are not yet changed. They just changed their mind…this time. Keep your heart where it is safe – in the Lord’s hands. Our God will buffer your life from emotional trauma when David does what David does…and still call you to intercede. Ours, Abigail, is to remain positioned, tender-hearted and faithful for intercession.